In the previous articles, we went over how to gather evidence for your claim, get a second opinion from a skilled roofer, and also how to avoid scams and fraud from dishonest contractors. With all of this done, it is time to file the insurance claim. The following guide will help you with each step to take. If you no longer have a paper copy of your policy, try logging in online with the insurance company website. Most insurance companies now offer the option to print out a paper copy of your policy using their website. Copy down your policy number as well as the deductible for wind or hail damage. Organize your claim proof including date and time of the storm, the size of the hail that hit your home, photos, video, and a list of items on your home that have been damaged. Be careful because the roof is not always the only thing that is damaged by hail. Your exterior HVAC unit may be damaged along with windows or the exterior of your home. Make sure you walk around your whole property looking for damage so everything is submitted at one time. Call the number for your insurance company that is listed on the policy. Volunteer as much information as possible and offer to email over proof with your initial call to move your claim along quickly. Your provider will provide you with a claim number. Copy this down and keep it with the rest of your proof. At this point, a claims adjuster will be assigned your case. Double check to make sure they have all the proof you already collected. 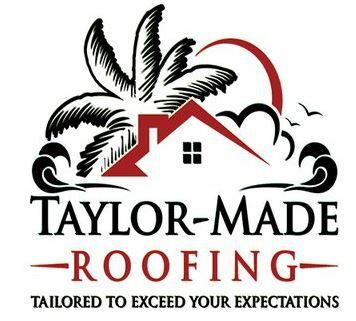 Try to arrange for the roofer that did the initial inspection to meet with the adjuster so they can share information For a roofing company that covers hail damage and works in the Jacksonville Florida area, be sure to try www.taylormaderoofing.com. Taylor Made has been working with homeowners after storms for years. Make sure you take advantage of their experience! This Florida roofing company can fix your roof fast! There are a few other things to keep in mind while the adjuster is making his assessment. If the roof is steep, there may be multiple visits required so a special high team can be brought in to scale the roof. Ask to see the photos taken by the adjuster as well. Any insight you can provide on damage done to gutters, HVAC units, box vents, and ventilators will help make your case stronger. Now that you have done everything you can to bolster your case, be prepared for the claim to not go through or to not be approved in full. Claims can be highly variable and take into account the orientation of your house, the materials used to build your home, and also the quality of your insurance company. Hopefully, by following this guide, you will have a better shot at getting the relief you need. Stay tuned!